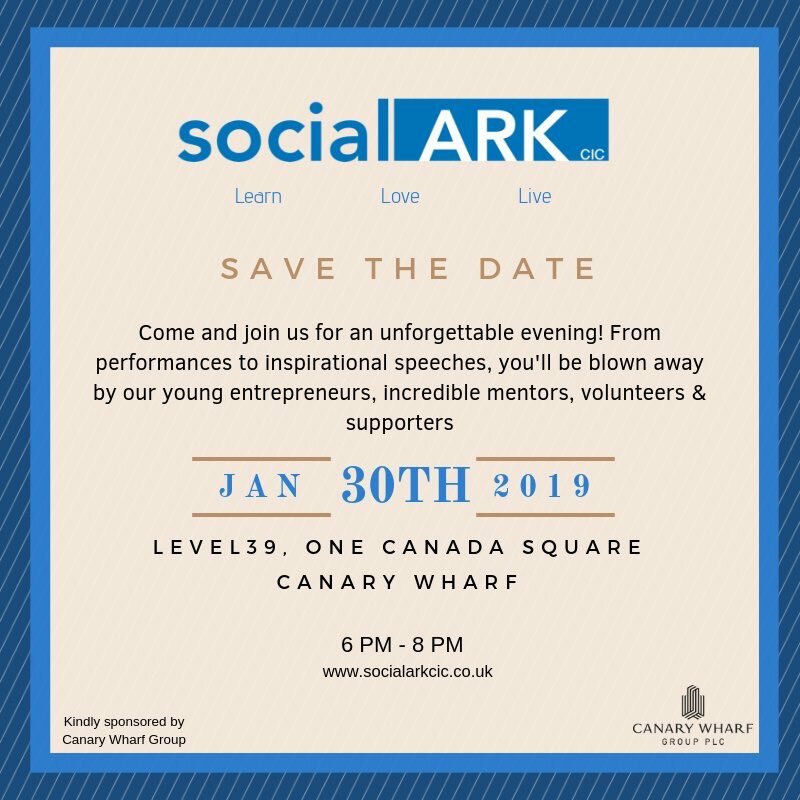 Social Ark CIC is a social enterprise based in the London Borough of Tower Hamlets that supports young people from disadvantaged backgrounds to use their lived experiences in order to develop social businesses. Many of them have experienced poverty, a lack of education, disability, immigration, homelessness and the criminal justice system. We work with the local community, corporate volunteers and expert mentors who all contribute to the success of our programme. We’re really proud of our young entrepreneurs, who against life’s odds have gone from being written off and excluded to community business leaders and role models. Kindly sponsored by the Canary Wharf Group, the event will take place on Level39 between 6-8pm on the 30th January. It promises to be a great evening, they’ll be short presentations, spoken word performance and you’ll hear from a diverse group of our friends, mentors and supporters. 6:30 pm: Hearing from the Social Ark team, young people & supporters.